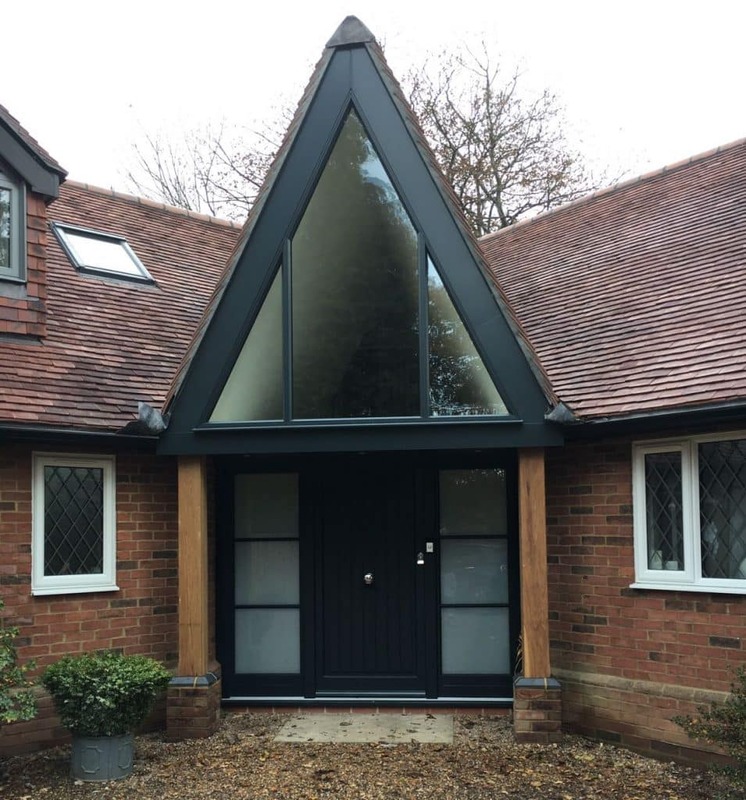 A Guildford property transformed with a contemporary timber front door and feature glazing. Our modern, solid wood front door is your premium solution for adding luxury and quality to the front of your house. This particular front door in deep black colour features a solid design with obscure glazed slide panels with slim meeting rails. The door is minimalist with a central door pull and chrome cylinder with escutcheon pull. At the base of the doors is a matching timber cill. Above the doors is a large feature apex in grey power coated aluminium with grey surround and obscure toughened glass. A gorgeous front entrance to this Surry home providing a contemporary feature entrance door and screen within a traditional property. If you would like our help creating the perfect statement entrance for your home, contact us today or visit our Belmont Showroom. Our doors have all the features and innovations giving you a beautiful, durable, functional and long lasting door.